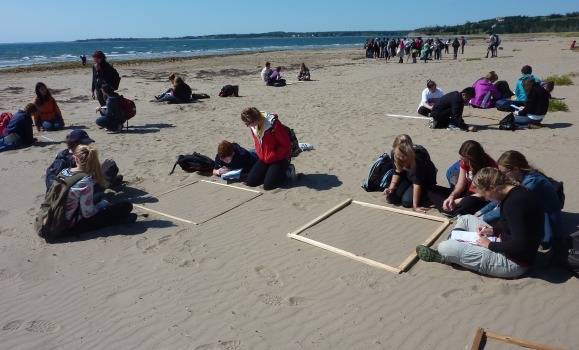 Through field trips to places like Conrad Beach, Peggy's Cove, Chebucto Head, Portuguese Cove, and Horton Bluff, Integrated Science students experience first-hand many examples of the concepts being studied. By analysing data you collected on field trips, and in laboratory exercises, you learn statistical and computer skills in a relevant, applied setting. You learn to write scientific essays and reports, by editing and revising your work based on detailed instructor feedback. You also get more practice giving oral presentations than do students in regular first-year programs. Most importantly, you learn about scientific research by doing it, conducting research as part of a team under the supervision of a Dalhousie scientist.